I think it can be agreed that the planning stage of a European road trip is almost as much fun as the actual trip. But… there are so many places to visit! So, with much difficulty, I’ve finally settled on our Top 5 Destinations for a road trip in Europe. You were expecting us to start this trip from London, weren’t you? Don’t worry, we’re getting there. Travellers in Europe, who usually start a trip in London and then head on East to the rest of the continent, so often overlook Ireland. Well by doing that you’d be missing out on a wealth of gorgeous countryside, ancient traditions (have you seen the film Leap Year? ), slightly crazy music and the famous Irish hospitality! Dublin to London is just under an eight-hour drive via the ferry, so if that’s a bit far for you I would suggest stopping off in Leeds. It’s rich in British history, with a vibrant atmosphere with many events and sights to see. In a list of the Top 5 Destinations for a road trip in Europe we’d be a bit mad to miss out London! The City of London has played a huge part in history, so much of London’s architecture and housing has existed for centuries. That isn’t to say London is old and boring. This city has something for everyone. Having one of the most diverse populations in Europe, you can feast on a wealth of different cuisines from all around the world, whilst enjoying the sights from one of its sparkling new skyscrapers. With Paris less than a five-hour drive away from London, you may not need to stop off. If you do though, I highly suggest stopping in Amiens, one of my favourite cities in France and home to France’s largest Gothic cathedral! Almost every traveller I know has dreamed of one day visiting the City of Lights, and if done right, Paris really will take your breath away. But with so many sights to see and foods to try, your first visit to Paris can turn into a whirlwind of chasing one experience after another. My suggestion is to try and extend your trip so that you have one or two days to wander around and experience everything you wish to see. 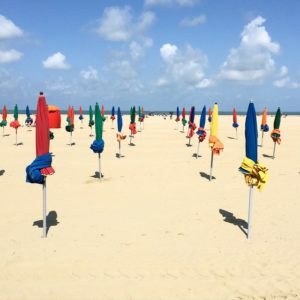 There are so many little hidden treasures in each district so find a nice restaurant, take a 2-hour lunch (just like the French do), relax with some nice wine and take it all in! This little town, known as the Venice of Belgium, is in my opinion one of Europe’s hidden wonders. Nestled away in the North of Belgium, Bruges is well worth the detour on your way to Berlin. 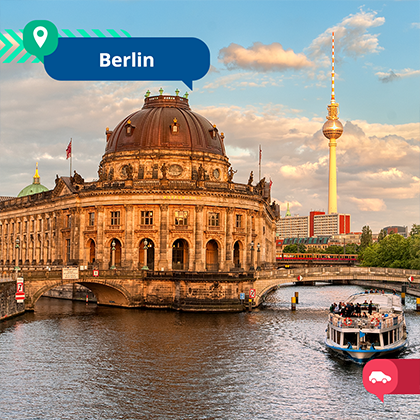 Berlin is a vibrant city home to artists, writers, musicians and modern philosophers. Whilst it’s not the most beautiful city in Germany (I think that prize would have to go to Munich) and some districts still look slightly gritty, the atmosphere in Berlin is one of a cultural revolution. And of course, what accompanies art more than wild parties and long afternoons drinking and debating creativity in cafés that offer some of the best coffee in Germany. For a good two decades Prague has been Eastern Europe’s hidden jewel of nightlife and architecture. This is the party pit stop, but make sure you still take time to see the beautiful combinations of Renaissance, Romanesque, Baroque and Gothic architecture. Oh… and the John Lennon wall of course! Although less well known than its Czech sister to the North-West, Budapest has just as much to offer travellers to Eastern Europe as Prague… for a much smaller price! So at the end of your European road trip, when your pockets seem a bit strapped for cash, this is the perfect place to finish your road trip. Plus if you’ve burned yourself out after all of the driving, you’ll be happy to know that Budapest is home to some of the most glamorous spas in Europe, including Géllert, which is the most photographed natural thermal spa in Europe. Follow this by a slow walk along the River Danube at sunset and witness the lights of Parliament twinkling in the wake of the river cruises: the perfect way to end your European road trip. Do you now want to take a road trip? 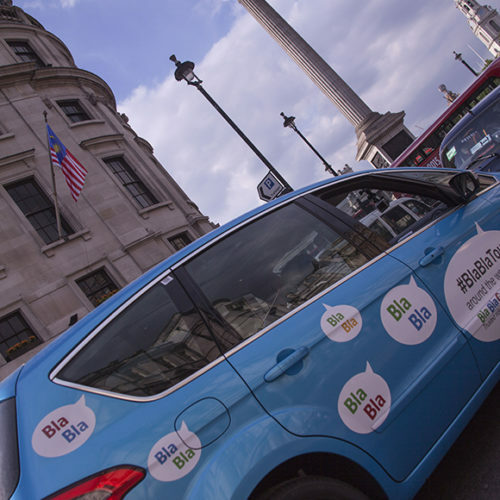 Make it possible with BlaBlaCar! 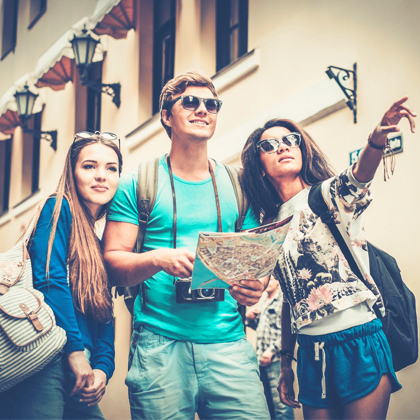 Offer a find a ride to your destination. September 16, 2015 BlaBlaTour 2015 reaches the finish line!